MONTREAL - Pittsburgh Penguins defenceman Olli Maatta will play Tuesday night against Montreal, two weeks after undergoing surgery to remove a cancerous tumour from his thyroid. The 20-year-old Maatta underwent surgery earlier this month at the urging of doctors, who detected it during a preseason physical. Maatta returned to the ice a few days after the procedure, and coach Mike Johnston says Maatta could have come back over the weekend but the team wanted to give him a few extra days to get his legs back. Maatta says he just wanted to get the surgery over with so he could focus on hockey. 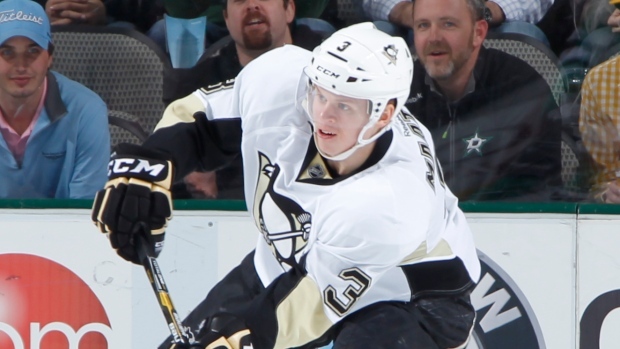 Maatta has one goal and five assists in 10 games for the Penguins.